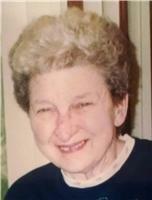 Carol J. Fuller, age 87 of Chardon, passed away Jan. 12, 2015 at Tri-point Medical Center in Concord. Born May 23, 1927 in Howesville, W.Va. to George and Jessie (nee: Danks) Everts; she had been a longtime Willoughby resident prior to moving to Chardon in 2003. Carol worked in Data Services for Hickok Electric. Carol enjoyed golf, softball, knitting, crochet and cooking. She enjoyed playing with and over feeding Oden, her granddaughter Kristyl''s dog. Survivors include her sons Bruce (Pat) Fuller of Willoughby and Scott Fuller of Chardon; grandchildren Kristyl Fuller of Chardon, Jesica (Michael) Ray of Mentor and Katie Fuller of Painesville Township. She was preceded in death by her parents; husband Earl Fuller; brothers Rodney and Nick Everts. Funeral Service will be 1:30 p.m. Friday, Jan 16, 2015 at the Burr Funeral Home, Chardon. Burial to follow at Western Reserve Memorial Gardens in Chesterland. Visitation is Friday from 12 to 1:30 p.m. at the funeral home.